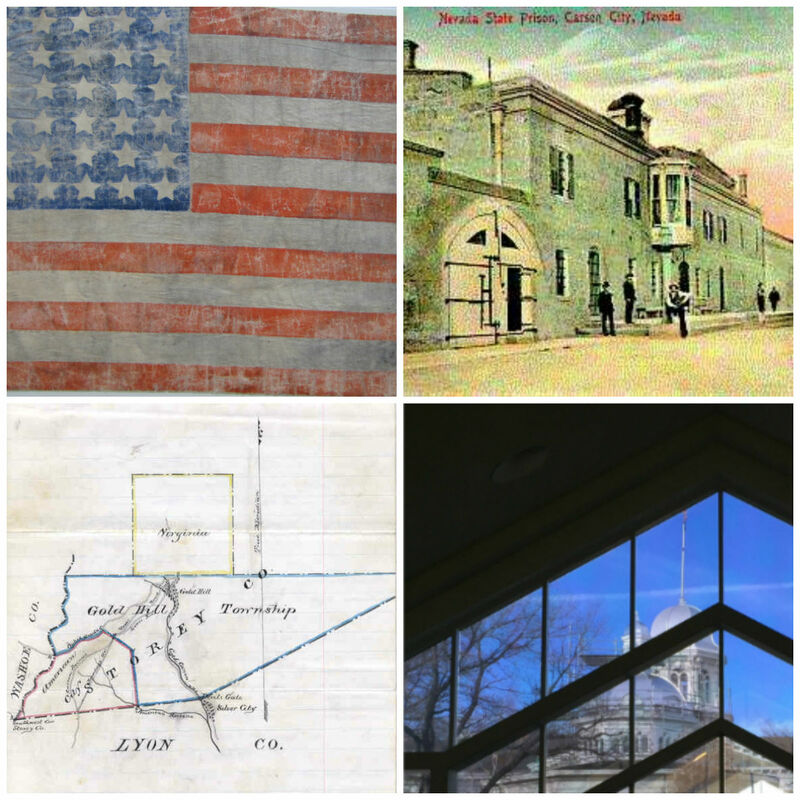 Clockwise from top left: Ft. Ruby flag in the State Archives collection, State Archives control number IMG-0162; State Prison post card, State Archives control number NSP-0009; a view of the Capitol Building from the State Archives reading room; detail of a map from the American Flat petition. The State Archives preserves the records that document the history of Nevada, dating back to 1851. It has custody over the historical records of the territory and state as defined in state statute, representing the three branches of government: executive, legislative, and judicial. There are more than 17,000 cubic feet of territorial and state government records and over 100,000 images of Nevada people and places, providing visual information that complements the State Archives' documentation of Nevada history.